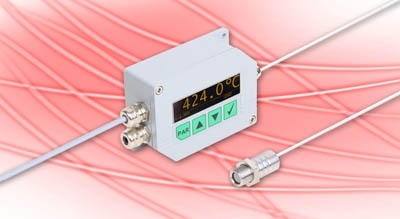 The digital pyrometers PYROSPOT of series 4 are developed and manufactured in Germany and are suitable for industrial continuous operation. Typical application areas can be found in metal and glas industry, paper and food production. The Series 4 devices are ideal for OEM use. Typische Anwendungsgebiete sind in der Metall- und Glasindustrie, Papier und Lebensmittelherstellung zu finden. Die Geräte der Serie 4 eignen sich bestens für den OEM-Einsatz. What characterizes the devices of PYROSPOT series 4?